To make a regular chocolate bonbon, or another sweets from chcocolate, there is few ways to do it. 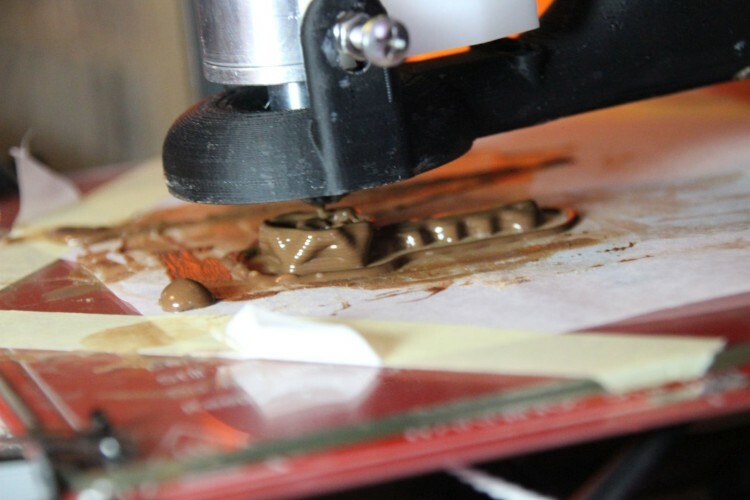 Common chocolate in shops is melted and poured into moulds. After cooling process it can be took off and it keeps the shape of mould. All of chocolates made this way have they’r siblings for 99.9%. Using a 3D printing technology, you can make things unique, every piece can be different. So why do not combine these things together? We had regular Prusa i3 plus printer, changed plastic extruder for chocolate one, puted everything in front of huge cooling system, and that is it! 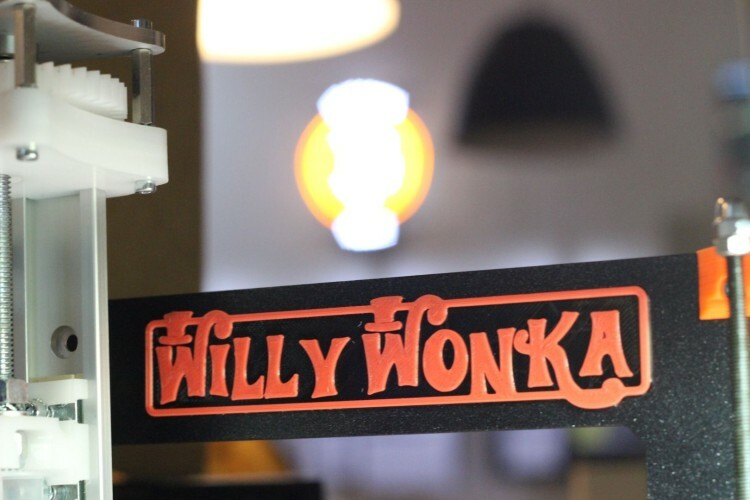 That is how Willy Wonka and his unique chocolate was born. Bonbons of special shapes, with text or customized pictures, chocolate biscuits. That is all what our Willy can do. Printer uses edited firmware, so it can extrude in lesser temperature than original plastic printer which have security protection that do not let them extrude under temperature 170°C. Also, we reduced print bed, but everything else is original Prusa i3 printer, like the other ones in makerslab. We would happily borrow you the printer with our trained printman for your event, to showcase what it can do, and print your special bonbons.